There is no denying it. 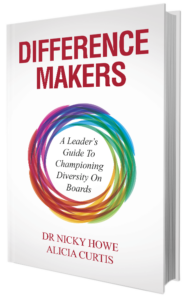 We are in desperate need of more diversity on Local Councils – age, gender, culture, education and industry. We need people like you to consider running! With Local Council Elections looming next month, NOW is the time to nominate yourself for your own Local Council. Who wouldn’t want to have their say in developing their own local community? Here are two shining examples of young, creative professionals who have put themselves forward for Council, hopefully giving you the inspiration and encouragement to put your name forward too! Rhys is no stranger to Local Government having served previously as a Local Councillor, leading a key community organisation in the area and serving on a number of community organisation boards. Why did you get involved in Local Council? Initially, I probably got involved not really knowing what I was getting myself into, but it was driven by this idea that if communities are going to reflect the needs of the people who live within them, then the decision making has to reflect the people who live within them. Diversity in our Councils is a key part of ensuring we have strong communities, so it is important that a cross section of people sit in the Council chamber. Can you give me a snapshot of the decisions/activities are you involved with as a Local Councillor? I was 21 when I was elected to Council, and knew little of the ways of Local Government. I think in some ways this, eventually, was an asset because I didn’t go into it with a jaded view of things. I worked hard first the first two years on just trying to learn as much as I could across a really broad range of portfolios. This made all the difference. I think because it gave me an opportunity to arrive at my areas of passion from a wide view. I found my place in the community development and sustainability areas of Council and spent my time working to really identify new ways of approaching how we build strong and sustainable communities. Some of the stuff we came up with worked, some of it didn’t, but it was a privilege to be part of it, and I learnt a heap along the way. What’s your three top strategies to get elected onto Local Council? 1. Don’t be someone that you aren’t. I think the problem with politics today is a lack of authenticity. Just be you. People have great BS metres! 2. Don’t tell everyone what you think they want to hear. Go out and listen to people, really gain insight, and try to understand the lens in which they see the world. I think that line ‘people don’t care how much you know until they know how much you care’ is worth keeping in mind. 3. Contact people who you admire and ask them for help. None of us have all the answers, and by asking for help we not only benefit from the wisdom of others but also build our support networks along the way. You can find out more about Rhys’ campaign here and if you’re based in Mandurah – send a vote his way! I got involved in local council because I really love the community I have lived in for the last fifteen years, and I wanted to be more involved in shaping what the Town would be like in the future. When I started my family I spent more time at home in ‘hood and at the local parks talking to other community members. I realised how much our community was changing, and gaining momentum as a diverse, connected inner city suburb. I saw being on Council as a type of community service –a chance to help shape our future community in a positive way and a way that I could give back to the neighbourhood that I enjoyed living in everyday. Probably one of the most interesting processes I have been involved in to date was our community’s development of the strategic community plan. It’s a synthesis of extensive, authentic dialogue with the community and sets out the long-term, big picture aspirations and priorities for the community into the next decade. I find there are a surprisingly wide range of decisions/types of work that local government deals with –everything from policy on things like sponsorships and leases, to looking at strategies for revenue diversification, ways to support community groups, planning issues, events and activations. I’m not sure I have any top strategies for being elected to Council. For me having conversations with residents and stakeholders who were positive and active in the community was probably the most helpful. Keeping a dialogue with those individuals who are genuinely interested-in and invested-in growing community was and is still incredibly beneficial to helping me better understand my community. Jennifer is not up for re-election next month. You can check out this webinar recording about the role of a Local Councillor here. Of course, if you’re keen to serve on a Not for Profit but not sure which one or how, check out the Board Ignition online course.